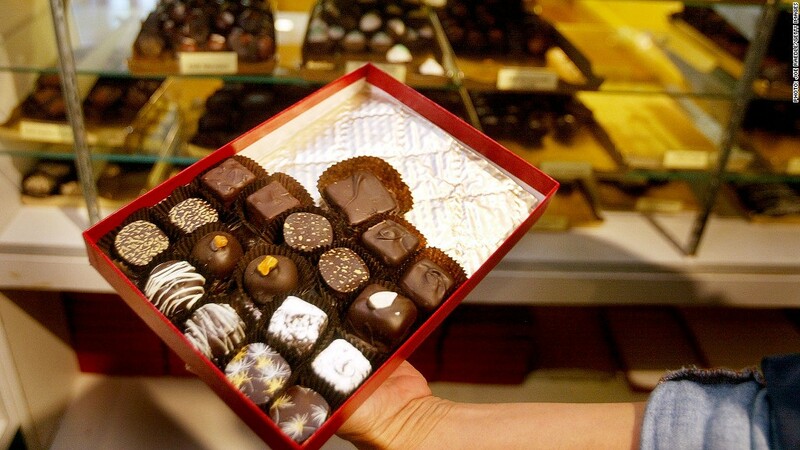 High-end dark chocolates could face the steepest price increases over the next few months. Chocolate lovers beware! The price of your favorite treat is on the rise. Growing demand in emerging markets and bad weather in major cocoa producing countries is pushing up the cost of key ingredients, leaving manufacturers little choice but to pass on some of that pain to consumers. The price of cocoa butter, for example, stands at a four-year high, having risen by 70% over the past 12 months, according to Mintec commodity consultant Liliana Gonzalez. And the production cost of an average milk chocolate bar has surged by 25% over the same period, she wrote in a report for British trade magazine The Grocer. "If manufacturers are bearing an increased cost over an extended period of time, it's no surprise they'll have to pass that cost along," said Peter Greweling, an artisan chocolatier and professor of baking and pastry arts at the Culinary Institute of America. But don't expect jaw-dropping surprises when you next visit the vending machine or grocery store. Manufacturers don't want to scare away loyal customers. "What the industry usually does is either increase the price, reduce the cocoa content or reduce the size of their products," explained Laurent Pipitone, a director at the International Cocoa Organization. Susan Smith, a spokesperson for the Chocolate Council at the National Confectioners' Association in Washington, acknowledged that ingredient costs have been rising but manufacturers have been doing their best to spare their consumers. "Chocolates are supposed to be an affordable treat," she said. "They do what they can to not increase the prices -- but if their costs go up over time, they do have to make some adjustments." Over the past 12 months, retail chocolate prices in the U.S. have risen by 7%, Smith said. That compares with annual consumer price inflation of about 1.5%. Those who crave high-end dark chocolate, with a higher cocoa content, are likely to be hit hardest. "Those [chocolates] are made by smaller manufacturers and they're less able to absorb extra costs compared to the bigger manufacturers," said Greweling. The global chocolate confectionery market, already worth $110 billion, is growing by more than 6% per year, according to Euromonitor. Demand in Latin America, the Middle East and Africa is expanding at an even faster pace. And as demand rises, cocoa shortages due to bad weather in major producing countries such as the Ivory Coast, Ghana and Indonesia, are squeezing suppliers. Cocoa has been the best performing agricultural commodity so far this year, according to Macquarie agricultural commodities analyst Kona Haque. Prices have risen by nearly 20% since hitting a low point in March 2013, and Haque expects further gains in 2014.